Randomised controlled trials evaluating psychological interventions for mental health problems, substance use problems and comorbid (co-existing condition) problems. Early in my career, I identified a lack of integration between mental health support systems with drug and alcohol treatments as a major barrier to behaviour change. Rather than treating co-occurring problems in a consolidated manner, patients were often refused treatment from one targeted service if they also needed treatment from the other. What drives me are the dualities in the system between mental health and drug and alcohol. People often have more than one problem, and mental health and drug and alcohol use go hand in hand. I think telephone interventions are where I can make an impact. It's always assumed that people with severe mental illness need intensive individual intervention with face-to-face treatment. But we have proved that phone intervention was simpler, briefer and just as effective. I want to continue making a difference to people’s live by using this approach. 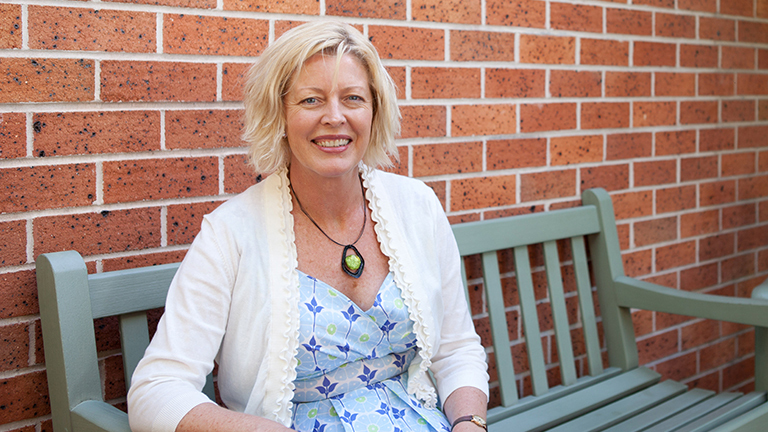 Professor Amanda Baker is the leader of the substance use and intervention subgroup within the University of Newcastle and a researcher in the HMRI Public Health Program. Her research and clinical practice involves the study of comorbidity or the existence of two sets of serious problems – one being substance misuse and the other being serious mental illness. Professor Baker has made innovative and scientifically rigorous contributions to the treatment of people using tobacco, alcohol and other drugs who also have mental illness. Her pioneering smoking cessation research on people with psychosis has received wide recognition, including numerous professional awards and prizes. In 2011 Professor Baker became the first person to win the HMRI Award for Research Excellence after previously receiving the Early-Career Researcher of the Year title (2003). She received a Bachelor of Arts Psychology with Honours from UNSW in 1981, a Masters in Psychology from the University of Sydney in 1984 and a PhD from the UNSW in 1996. She joined the University of Newcastle in 1995 as a senior lecturer and was promoted to Professor in 2009. Professor Baker has led the largest trials of treatments for substance use in major depression. These studies won the research team the coveted national prize for Excellence in Research, National Drug and Alcohol Award in 2009; with Amanda receiving the 2010 Senior Scientist Award from the Australian Professional Society for Alcohol and Other Drugs. In collaboration with Dr Frances Kay-Lambkin, whom Professor Baker supervised during her PhD, they developed a DVD-based intervention known as SHADE (Self-Help for Depression and Alcohol and Other Drugs). This program received the NSW Mental Health Matters Research Evaluation Award, and has also attracted national and international commercialisation agreements, which will see delivery of an internet-based version of SHADE. Professor Baker is one of Australia’s most successful researchers in interventional studies for addictive behaviours and comorbidity with mental illnesses. She has over 300 peer reviewed scientific papers and conference presentations and has gained more than $10 million in competitive research funding in the past two decades. Her prominent standing at the national and international level is evidenced by numerous invitations to present at conferences. She has been invited to provide professional advice on alcohol and drug interventions and the treatment of mental illness to the Commonwealth Department of Health & Ageing, the World Health Organisation and the prestigious US National Institute of Drug Abuse.